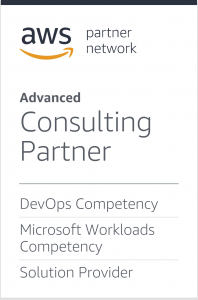 As AWS Advanced Consulting Partner, we are succesfully completed various AWS based Projects focusing on DevOps Transition. We have various models of accelerating the AWS journey in our customers using one of the appropriate model that matches their needs and expectations. 1- Transition of the current teams: In this model, we educate, mentor and pair with your current Dev and Ops teams, and the ultimate target is to handover all the practices so that they can continue the operations themselves. 2- Being a team-member: We assign you a remote team member who is all-the-way responsible of the implementation. You can refer to our DevOps-as-a-Service for that model.